Zero tolerance laws in Massachusetts prohibit young drivers from consuming even a single drink and getting behind the wheel. Unfortunately, many teens are having far more than just one beer. Studies show that extreme binge drinking is common among high school seniors. Unfortunately, teens who engage in extreme binge drinking are likely to be so intoxicated that their judgment may be impaired and they may decide to drive while intoxicated or to get in the car with someone who is drunk. Our Boston drunk driving accident lawyers know that the more someone has to drink, the greater the risk that he or she will cause an accident and injure himself or someone else. Teens who binge drink need to understand the serious risk of getting into a car when they’ve consumed so much alcohol, and parents need to be aware that binge drinking is a popular yet dangerous phenomenon among young people. 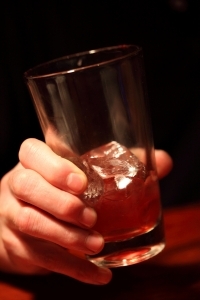 Binge drinking is defined as consuming five or more drinks in a row. As Boston.com reports, the number of teens who engage in binge drinking has largely declined in recent years. While this is good news, the number of teens who engage in “extreme” binge drinking has not changed. Extreme binge drinking is defined as having at least ten drinks in a single sitting. A survey of 16,000 high school seniors conducted for the National Institute on Drug Abuse found that almost one in ten high school seniors admitted to binge drinking within the two weeks prior to the survey. This result from 2011 means there was a slight decline in the number of binge drinking seniors as compared with a similar study conducted in 2005, but the change was small. The survey also asked the high school seniors about the most extreme level of binge drinking: having fifteen or more drinks in a row. Almost six percent of high school seniors said they had consumed this much alcohol in the two weeks prior to the survey. This 2011 number was unchanged as compared with the previous 2005 survey. The lead researcher for the study offers one possible explanation for these results: extreme binge drinking is a more entrenched behavior for some teens and is thus harder for them to change than teens who just binge drink occasionally and who stop after five drinks. This is cause for concern, however, as it means that these teens may be more likely to overdose on drugs and alcohol and may not be able to control their alcohol consumption. A teen who has made a habit of consuming ten or fifteen drinks in a single sitting could face struggles with alcohol over the course of his life and could be more likely to drive while intoxicated not just as a teenager but also as he moves into adulthood if the extreme drinking behavior doesn’t change. Parents need to be aware that almost ten percent of kids are engaged in this type of extreme binge drinking and should watch for signs in their own children. If a teen is consuming ten or fifteen drinks in a single sitting, parents should strongly consider taking action to get the teen help before he hurts himself or others in a car accident or other alcohol-related incident.